Have you enjoyed following our website? Starting soon we will be adding a newsletter to our site which we will be emailing quarterly to anyone interested in additional infomation about fishing in the Philippines. We plan to feature various fish species, fishing techniques and destinations around the country as well as add some additional tips and tricks. There will also be a brag board where we post photos from our followers from that quarter. 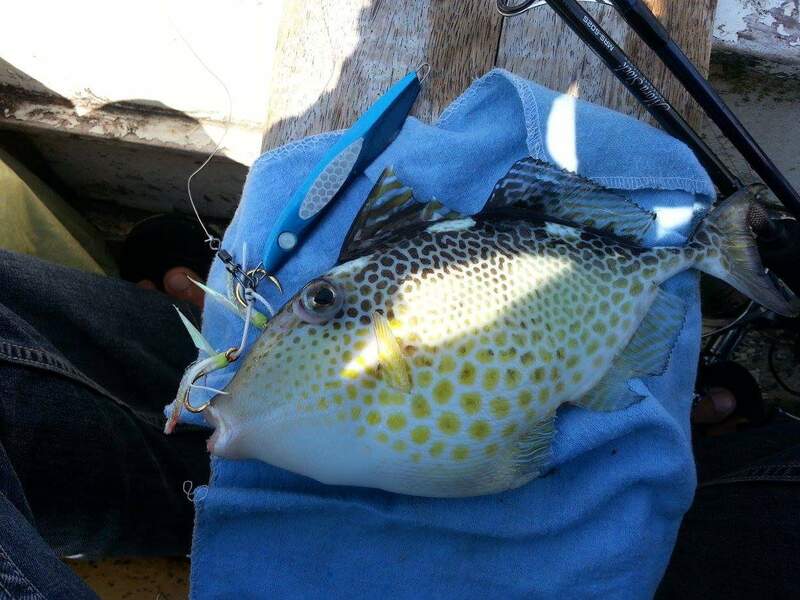 We welcome your comments suggestions and involvement in our website as we seek to promote sport fishing in the Philippines and teach the next generation how we can preserve and enjoy our waters and what’s in them! FTP would like to highlight progress in the country that is being made to protect the waters of the country as well as to promote sport fishing. Dipolog City in Mindanao is making great progress in this area. One such step forward was the passing a Barangay ordinance in the city’s central Barangay that established a 100 meter No Net Zone around the city’s breakwater. The breakwater is one of Dipolog’s prime sport fishing destinations where anglers can catch many species of saltwater and brackish water fish. 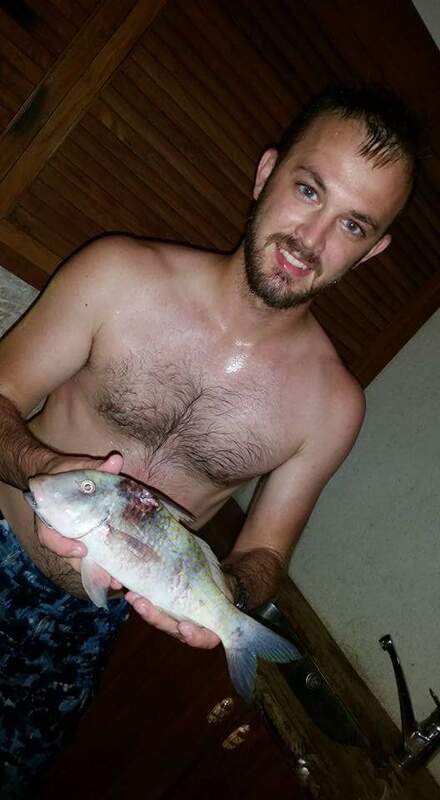 Among these are the elusive Freshwater Snapper, known locally as Tandungan, Black Snapper, Mangrove Snapper, Rabbitfish, Tarpon along with many others. The breakwater sits at the mouth of the Dipolog River and is under the jurisdiction of the city’s central barangay. This ordinance was passed in 2006 while Angler and Tackle shop Owner Kenny Ong was the Barangay Captain. The ordinance not only protects the anglers breakwater but also serves to minimize conflict between anglers and net fishermen. Since its passing in 2006 this ordinance has been enforced and the breakwater has been protected against illegal net fishing within its 100 meter no net zone. Because of this the Dipolog Breakwater has continued to be a prime sport fishing spot with the many Dipolog Anglers having caught prize fish since the establishment of the ordinance. Steps like this are invaluable to the sport fishing community here in the Philippines as they help protect and promote healthy fishing practices. FTP would like to see more anglers partner with LGUs around the country to implement and enforce initiatives like this one. Hopefully in the near future anglers together with the LGUs can enforce such laws as the no electrofishing law in streams and rivers, as well as begin initiatives like a fish stocking programs to help increase the number of gamefish in rivers and lakes throughout the country. We hope that this will be an inspiration to you and also remind you that you can make a difference. Do you know of any similar ordinances or work that is going on in your area? Let us know and we will highlight it and bring more awareness! The Starry Triggerfish is yet another beautifully patterned triggerfish species found around the Philippines. This species is common around sandy and muddy bottoms along the coast as well as around reefs. These fish like other species of trigger fish make a good meal once you peal away their thick skin. The beautiful pattern on this species also makes it appealing as an aquarium fish. 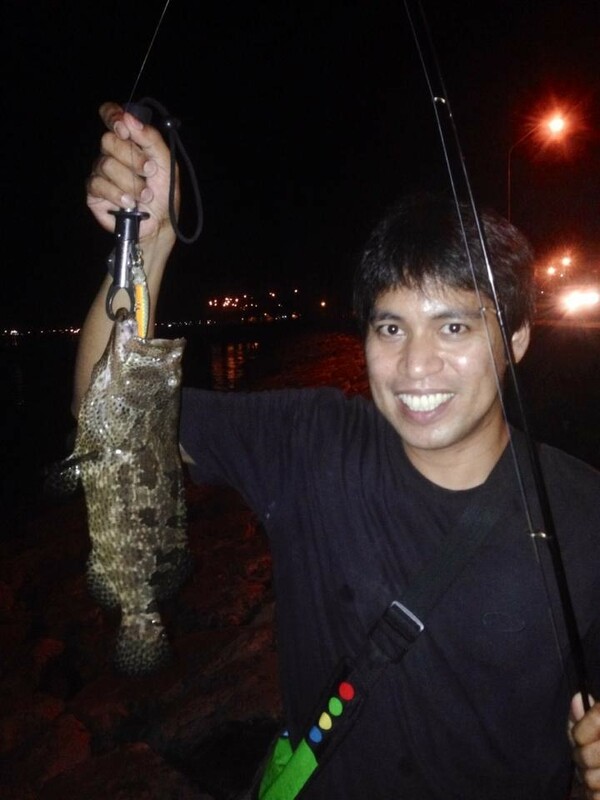 This fish pictured above was caught by Steve while jigging around Cebu City. Here is another species of Goatfish found throughout the Philippine Islands. Goatfish are a sought after food fish due to their white flesh. Fish like this are said to be good for people who are sick. 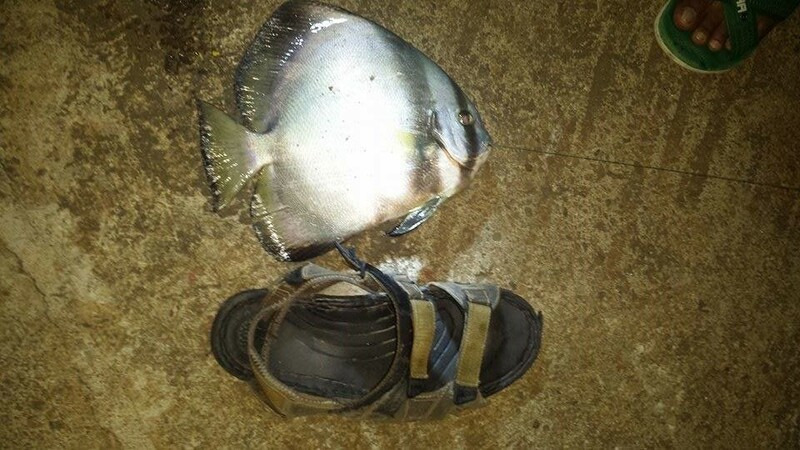 The fish above was speared at night in Catmon, Cebu. It does not take a beginner long to become confused when deciding on what line to put on their reel. Here we will explain a little about the various fishing lines on the market today along with their pros and cons. At the end of this article we will also explain what size (lbs test) line is best for your reel. 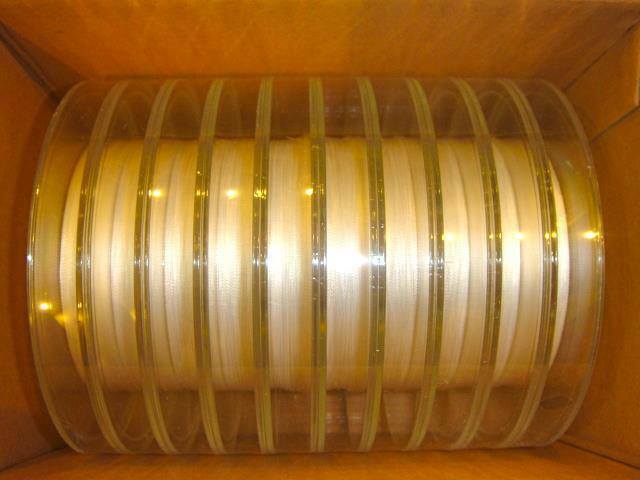 Monofilament, or just “Mono,” Fishing line is probably the most well-known type of fishing line. Here in the Philippines we typically have two types of mono. The first is the more widely available Nylon. This line is also known as “Local Nylon.” It is it used mainly by commercial and subsistence fishermen because it is cheap and readily available all over the country in fishing supply shops. 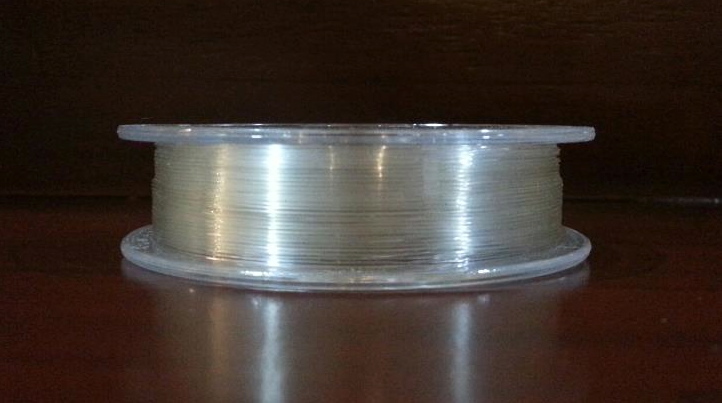 This line has a thicker diameter than the higher quality imported line and also tends to have poorer knot strength. Its main use is for handlines because of its thicker diameter. The second type mono lines available are the branded fishing lines from the USA, Australia, Europe and Japan. These are more specifically designed for sport fishermen and usually have a thinner diameter and better knot strength. Like the locally available nylon these mono line do stretch when put under pressure. These lines made by Momoi, Ande, Stren, Berkley, and others are harder to find and usually can only be found in sport fishing tackle shops and sports stores around the country. Polymer (multi/co) These lines are very similar to monofilament lines however they are usually quite a bit more stretchy. They have their place in certain applications of fishing however in general these types of lines are not recommended. Fluorocarbon is another type of fishing line similar to Mono. The main differences however are that it typically has less stretch than mono, it is alleged to be less visible in the water, and it is supposed to be more resistant to abrasion. Braided Lines are another very different type of fishing line that have become quite popular. There are many brands and types of these lines available on the market today. -PE Most of these lines are made from poly ethylene strands that are woven together to form a thread. The number of fibers woven together is often expressed by the word Ply or with the letter X4, where the number corresponds to the number of fibers. The lower the number of strands the less smooth the line (and usually the cheaper the line is) the more strands the smoother the line and thee more expensive. Today most lines range from 4Ply to 32Ply. Braid has virtually no stretch which makes it ideal for deep sea fishing. It also has a very thin diameter while still having a high lbs test rating. Cons of this type of lines are that commonly used knots have a tendency to slip. Special knots are needed to secure the line. Also the line can become hopelessly tangled when casting or trolling. It is much harder to untangle than mono lines and o ften needs to be cut. Braid is also quite a bit more expensive than mono lines. Beginners who use braid often make mistakes using it and end up losing a lot to tangles. It is however one of the best types of fishing lines available once an angler learns to use it. -Dacron is an older version of the modern PE lines that is still available. It is woven like some of the higher ply PE lines with a hollow core. This creates a flat line when tension is put on the line. Mono lines are often spliced into the hollow core to create knotless leader connections. Dacron line is only of use too ocean fishermen who troll and bottom fish. Nylon Twine is another type of line that can be found around the country. It is not used very often as a fishing line except by subsistence fishermen as an alternative to a mono line. The main reason it is included in this list is because it is label as “Fishing Line.” This can be confusing to people unfamiliar with fishing lines because it resembles braided line but has a great deal of stretch. For sport fishermen this does not make a good fishing line to put on reels. Instead it makes an excellent line to wrap rod guides, decorate rods and to use for other household projects. Grouper are some of the more elusive gamefish found around the country in the ocean. This species is no exception. The Brown Marbled Grouper is distinguished from its numerous cousins by it unique blotched and marbled brown pattern. This species, like most grouper species here, is a highly valued fish. They are prized for their white flakey flesh and are marketed both live and fresh around the country. These grouper can be caught a variety of ways on both artificial and natural baits and lures. Groupers like this tend to be quite difficult to land because of their tendency to dive for cover once hooked. I sturdy leader line is necessary to land one of these fish. Grouper are also known as to be more active at night. Grouper are one of the fish here in the Philippines that have been chosen for farm raising. This particular species has been successfully raised in saltwater ponds . There is some difficulty however in raising grouper in ponds because of their carnivorous nature and high meat diet. This particular species is listed as near threatened, however it is our opinion that in fact they are not and that the fish’s cautious nature and feeding habits make them seem rarer than they actually are. 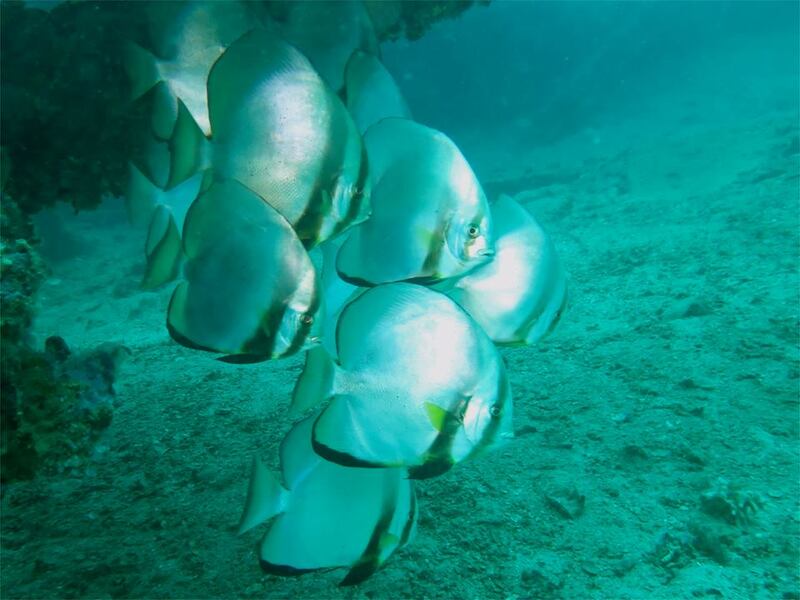 Batfish are common throughout the seas of the Philippines. 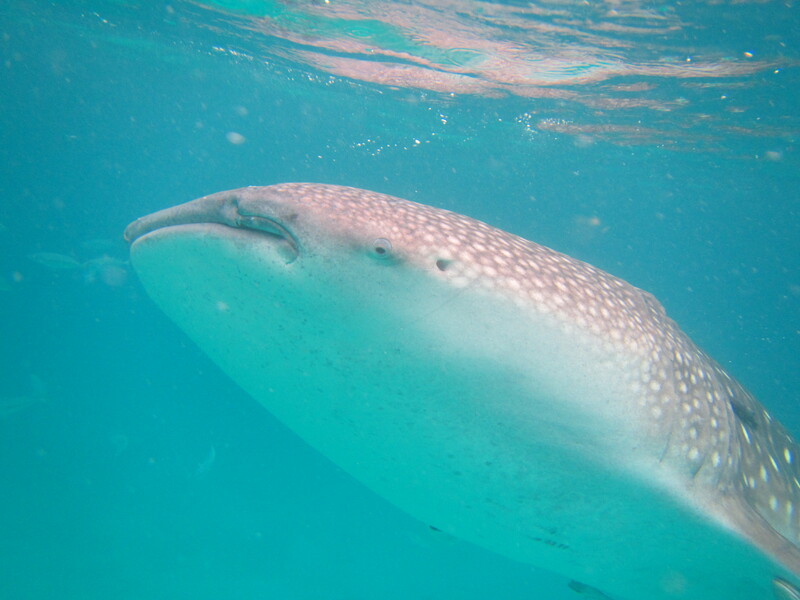 Juveniles are often seen around shallow reefs and sandy flats, while adults are most common around wrecks and deeper structures. Their name in Tagalog: Dahong-Gabi literally means Taro Leaf, and comes from this fish’s broad but flat body. Batfish are edible however they have a very bitter skin which ruins the flavor of the meat if eaten. Fishing the Philippines is proud to say that we have a small part in the conservation of Large Marine Vertebrates in the Philippines! We have been able to supply our friends at LAMAVE with materials to tag Whale Sharks, Tiger Sharks and Mantas for scientific study! It is great to see this NGO working to learn more about and promote conservation of these giants of the tropical seas. Parrotfish are abundant throughout the Philippine Islands and are associated with the beautiful and plentiful reefs of the tropical waters here. This particular species has a darker body compared to many of the other species. Other notable features are the fish’s elongated snout, parrot-like teeth, flame red tail, and large scales. 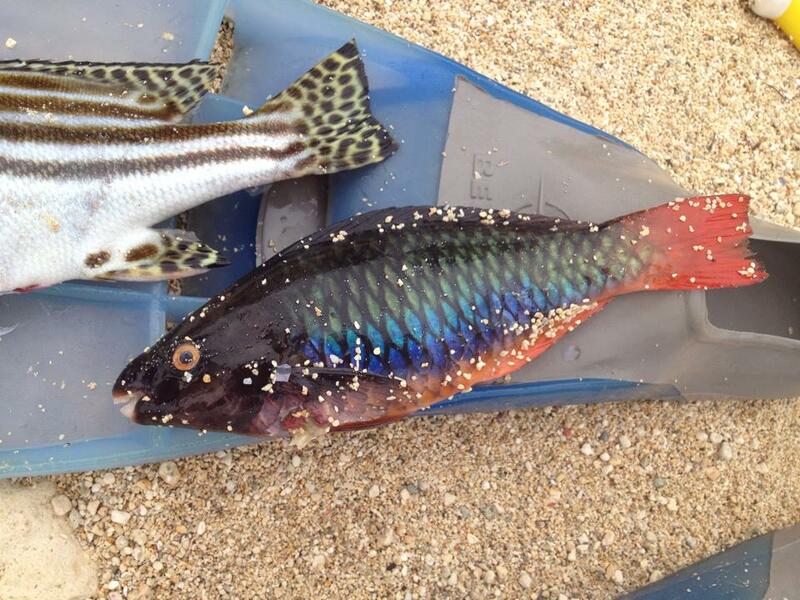 This species grows to a good size of 1-2 kgs however like most parrotfish species they are difficult to catch because of their unique diet and coral crunching teeth. These fish are often the target of spear fishermen because of their abundance, large size and delicious flesh.